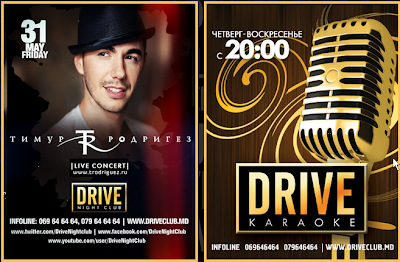 Dance Club "DRIVE" - this is a new direction for the true connoisseurs of high-quality recreation club. The powerful energy and destructive power of sound, the most modern rhythms and fiery new items have already conquered the hearts of visitors to the club. Hi-Tech - equipment of the highest quality, powerful light and sound along with the versatility of the space itself provide the ability to carry out activities that differ in style and format. Particular attention is paid to the interior. The dynamic author's performance gives the club a very special appearance: clear correct lines and soft velvety shade, silver glint of metal and swift flash of light on the dance floor. Here you will find sofas and huge aquariums with exotic inhabitants of the underwater world. 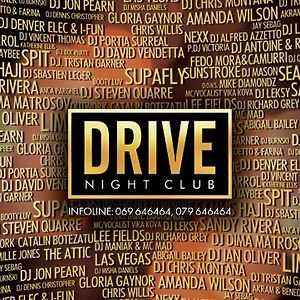 NightClub "DRIVE" features friendly service: here are very attentive to the wishes of the guests, which emphasizes the positive atmosphere. Come in any mood, no matter what you will leave only in perfect state of mind. Particular attention is paid to the entertainment programs, which are based on the wishes of the guests and regular customers of the club. It is worth noting aerobatics DJ-s, accurately determining the mood of the public. Dance Club "DRIVE" - this is the best new music entertainment industry, it is high-quality sound and light, stylish design, exclusive laser show and the atmosphere of coziness and comfort. The administration of the club is committed to providing its guests with only the best, to this end, a thorough selection of invited artists and show bands. Do not worry about anything: your peace and relaxation are protected by specially trained security forces. Adress: 109, Calea Orheilor str.